Ships in 0-3 weeks from ARH in NY. American Racing Headers ZR1-09178300LSNC - American Racing Headers ZR1 Corvette C6 LongTube 1-7/8 304-SS Headers with off-road x-pipe; 2009-2013. With Race Inspired Technology built into every system, you&apos;re looking at the very best the performance exhaust industry has to offer. Our C6 ZR1 systems are available with 1-3/4", 1-7/8" or 2” primaries and your choice of 3" x 3" or 3" x 2-1/2" catted or non catted X-pipe mid-section. Of course, these are manufactured using the highest quality 304 S/S available and require no modifications to install. All systems come standard with merge collectors and scavenger spikes. We also use the highest quality and best flowing metallic substrate catalytic converters available and all systems assemble with Grade 8 hardware and Accuseal S/S band clamps. Items can be returned within 60 days of receipt. If items were shipped in error or damaged in transit, American Racing Headers and Exhaust will pay for all return charges, and waive any restocking fees. However, if American Racing Headers and Exhaust shipped your order per your specifications but you would still like to return items, return shipping charges are the customer's responsibility, and a 20% re-stocking fee will apply. No refunds will be made until returns pass inspection. If the ARH system has been purchased through a dealer, please contact that dealer for their returns policy. If there are any problems during installation please contact ARH immediately, no modifications should be done without consulting an ARH representative. Any unauthorized modifications will void the warranty. Please contact us for a Return Authorization Number (RMA) and shipping instructions. For more information on our limited warranty please call 631-608-1986. Since sound is subjective, we do not warranty for sound. Please do not return your American Racing Headers® product if you do not like the sound level. There are several ways to adjust the sound level. Please call for more information if needed. History and information about American Racing Headers and their products. Are you in the market for American Racing Headers, long tube headers, American Racing exhaust systems or header exhaust packages? 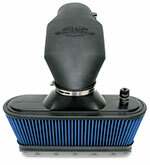 You won&apos;t go wrong with one of these from LMPerformance manufactured by American Racing Exhaust & Headers. Because American Racing Headers has a staff with over 40 years of combined high performance exhaust fabrication experience, the people at American Racing Headers make sure only the finest components and craftsmanship go into every American Racing Exhaust & header system. In addition, LMPerformance and ARH Headers believe in the concept that "Made in the USA" is something to be proud of. 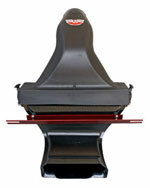 American Racing Exhaust & Headers provides a product manufactured solely using U.S. made materials. American Racing Headers IS determined to stay a step ahead of the competition. Whether on the street or track, you&apos;ll know American Racing Exhaust & Headers makes the best. LMPerformance carries Long Tube Headers for vehicles such as Camaro, Corvette, Truck, Mustang, Challenger, Charger and more. 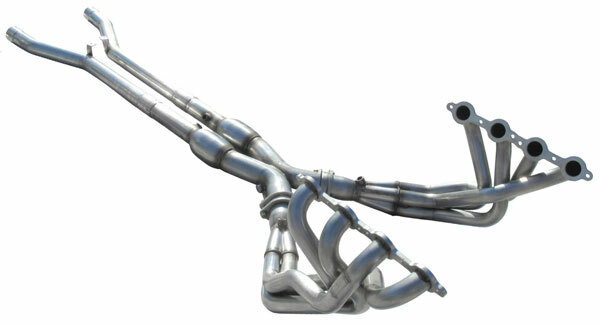 American Racing Headers are made of 304 Stainless Steel, look great, and are easy to install. We also have exhaust systems and header exhaust packages from American Racing Headers. All of these at just the right price and, of course, great customer service. American Racing Headers are engineered and constructed using 304 Stainless Steel and are fabricated with precision cut, 3/8-inch warp-resistant and leak-free stainless steel flanges. Each primary tube is sized for the individual engine output to generate the greatest horsepower with the least amount of compromise created by tight engine bay parameters. Efficient flowing, state-of-the-art merge collectors that are tuned for HP and torque maximization are used in each application. Each header design has been tested in the extreme to ensure it delivers the performance gains we promise and you’d expect. American Racing Headers are the only manufacturer trusted by Chevrolet to build the original equipment headers used in every modern late model COPO Camaro racecar ever produced. If you are asking yourself if you should install an aftermarket performance exhaust or if they are worth the cost maybe we can help allay your fears in that respect. First of all, headers are undoubtedly one of the simplest changes you can make that will generate an improvement in the way your engine performs because they are primarily a bolt-on application. They function by making it simpler for your engine to work exhaust gases out of the cylinders and they accomplish this by affording each cylinder with its individual exhaust pipe of equal lengths resulting in each cylinder’s exhaust gas being given the opportunity of arriving in the collector evenly with an absence of back pressure and consequently improving your engine’s power. If you are considering headers then take the time to peruse the LMPERFORMANCE web site and learn about the headers from the inimitable AMERICAN RACING HEADERS, a company that has been in the business of making headers since 2005 and with the goat of making a header that would be well received and problem free. Their customer base has grown and they are now a world renowned supplier of distinctive headers and cat-backs who in 2014 they were the first manufacturer in the performance industry to receive four separate Made in the USA certifications. Checkout our selection of Kooks Headers. Below are other popular parts other customers have purchased for their Chevrolet Corvette.